Properties of material depend on its Size, Shape and Micro Structure. Normally micro elements in steel are Ferrite, Trustite, Sorbit, Ostenite and Cementite. 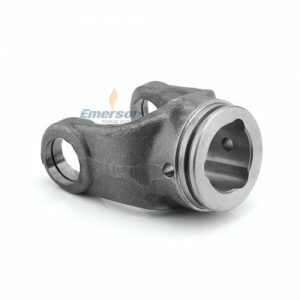 It is very important to perform Heat Treatment process in field of engineering before using Casted, Rolled and Forged Parts. Heat Treatment process has to perform with following sub processes simultaneously. Materials Internal structure changes as per change in Temperature’. This quote is in respect to Heat Treatment. To Relieve Stress which generates due to different processes perform on materials like Cold and Hot Working, Welding, Casting and Forging. To Increase machining ability of material. To Change Grain Size of material. To make material Soft to perform activities like Wire Drawing, Cold Rolling etc. To Increase Ductility and Toughness of material. To make material Heat, Friction and Corrosion Resistance. To Increase Electric and Magnetic Properties of material. To make Structural Formation Homogeneous. To Change Chemical Structure of material. To stabilize the size of Steel Material. In annealing process- Part has to heat till austenite phase and maintain temperature for some time, then cool slowly during transformation range and obtain require micro structure. i.e. In full annealing hypoeutectoid steel heated 30-50 0C more than upper critical temperature and maintain for approximately 02 Hours and cool till room temperature slowly. In quenching process-Part has to heat at the temperature more than critical temperature. Parts have to remain on that temperature for long time and for quick cooling part has to bath in tank of water, oil or liquid salt. This process of temperature reduction by bathing calls quenching. In induction hardening-Parts has to put between the induction coil and current of proper frequency passes through inductor coil. At that time magnetic lines passes through part and AC current induces. As a result of these parts get heating due to hysteresis loses. This induce current circulates over parts surface. Induction hardening can do on the parts having 0.35 to 0.55% carbons. In case hardening-Carbon elements at the surface layer take to very higher percentage this process calls case hardening. The deep till the carbon percentage could found higher calls case depth. In cyaniding- Parts having temperature of 870 0C has to put in liquid salt bath for around ½ to 1 Hour. Cyanide gives carbon monoxide and nitrogen. Nitrogen increases the hardness of case. We found case depth around 0.25 mm by this process. This article publish by Forging Company India.